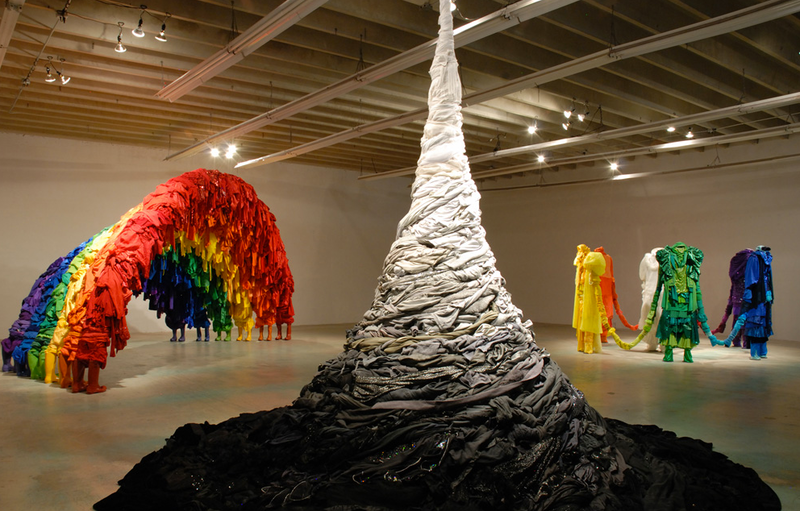 Alain Guerra and Neraldo de la Paz aka (Guerra De La Paz) are the two artists behind these stunning sculptures made of old discarded clothes. Exploring materialism in contemporary society, the sculptures are meant to make us think about our “mass-produced refuse.” The overabundance of discarded clothes though beautiful in some ways, seem depressingly sad when collectively hanging from a ceiling or arranged like a weeping rainbow. 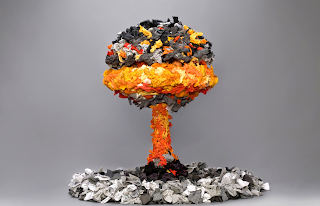 Our habits of consumption put us so very far away from the creation of the items we use– and just as far away from the piles of trash they become. Guerra De La Paz doesn’t see trash, in this sense, but an opportunity for artistic beauty and expression.